The Ministry of Defence has a funding black hole of at least £7bn in its 10-year plan to equip the UK’s armed forces, according to a report by the Commons spending watchdog. The Public Accounts Committee said the MoD lacked the ability to “accurately cost programmes” and that the shortfall could reach £14.8bn by 2028. MPs added the government did not have a “coherent and credible” funding plan. The MoD said it was “addressing the financial challenges” it is facing. The MoD plans to spend more than £180bn on new warships, submarines, jets and armoured vehicles over the next decade. But the PAC’s chairwoman, Labour MP Meg Hillier, said the department was “a repeat offender” when it came to “poor financial planning”. She added that progress in addressing concerns raised by the committee in May 2018 had been “woeful”. Asked if the MoD was always facing funding difficulties, Ms Hiller said: “It does feel a bit like Groundhog Day. There just needs to be a clear decision about what the priorities are. Lord Dannatt, a former head of the Army, told the programme the defence secretary had “a very strong case to make” for increasing the military budget. A defence and security review that followed the 2010 general election had “slashed and burned a lot of our capabilities”, he said. “The Americans wring their hands now and say that we’re not the reliable allies that we were because we haven’t got the fully rounded capabilities. 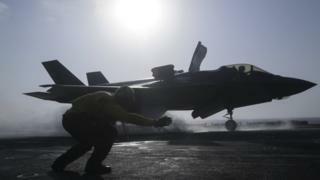 In its report, the PAC demanded more information on the risks associated with major projects, including the purchase of F-35 stealth jets and Type 31e frigates. Part of the problem, the committee said, was that the government had dithered over which projects to fully finance and which to cancel or scale back.